Douglas Baker, a Rochester-based graphic designer, commissioned Castle to create one of his furniture-as-architecture installations for Baker's dining room. 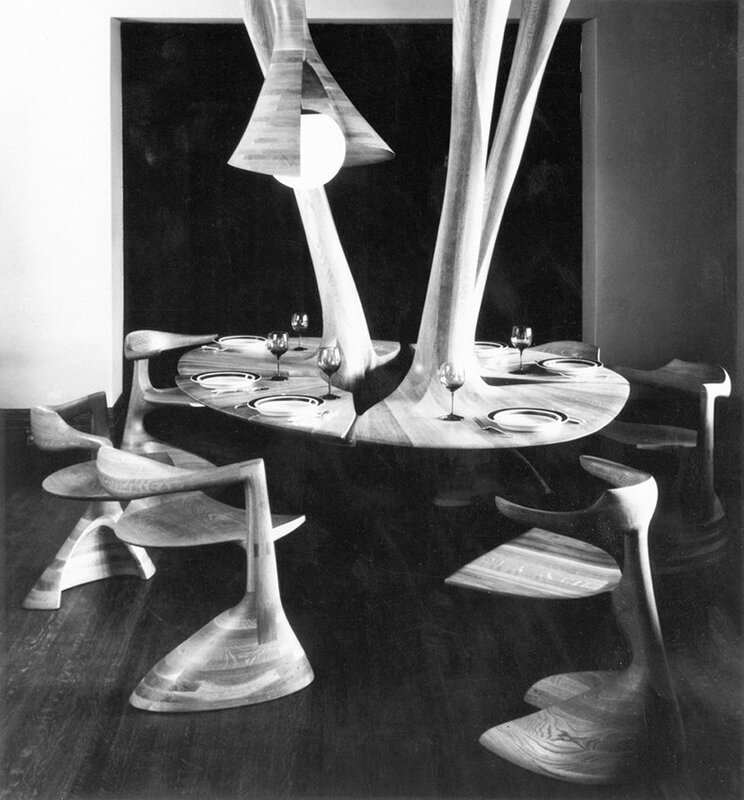 What Castle did was nothing short of miraculous: an acrobatic feat of woodworking that flipped the laminated white-oak dining table on its head and suspended it from the ceiling, complete with conical lighting fixture. Sadly, the set-up no longer exists as it did in 1966 (pictured here).